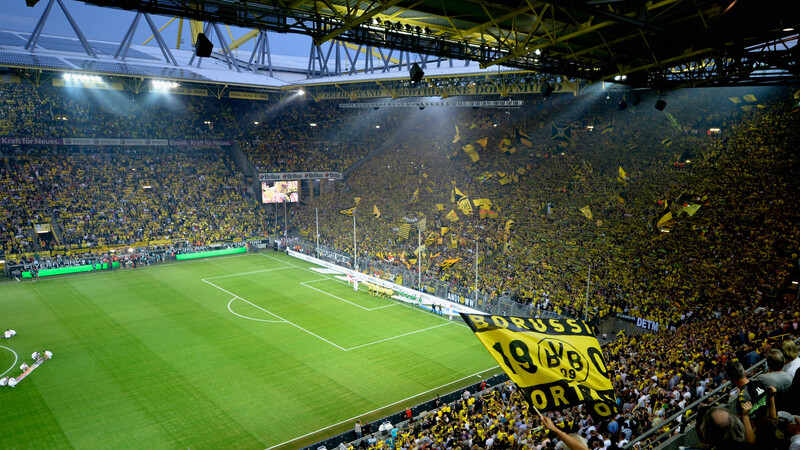 The Signal Iduna Park holds the second highest average attendance in Europe, with its 80,000 plus capacity being home to one of the best atmospheres in the world. The capacity is much reduced for European matches as stadium’s have to be all seating in European competition. The stadium, known commonly as the Westfalenstadion is home to one of the most impressive sights in football with the ‘yellow wall’ that dominates behind one of the goals. The stand is one sheer wall of fans wearing those famous yellow shirts with an immense 25,000 of them standing all together in league matches, a sight to behold.